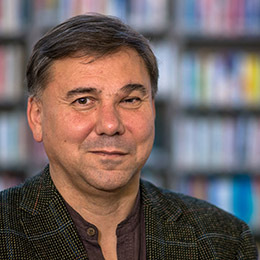 Dr Ivan Krastev is the chairman of the Centre for Liberal Strategies, Sofia, and a permanent fellow at the IWM Institute of Human Sciences in Vienna. He is a founding board member of the European Council on Foreign Relations, a member of the advisory board of the ERSTE Foundation and a member of the global advisory board of the Open Society Institute. He is also an associate editor of Europe’s World and a member of the editorial boards of the journals, Journal of Democracy and Transit – Europäische Revue. From 2004 to 2006, Ivan was the executive director of the International Commission on the Balkans, chaired by the former Italian Prime Minister Giuliano Amato. He also previously worked as the editor-in-chief of the Bulgarian edition of Foreign Policy and was a member of the Council of the International Institute for Strategic Studies in London from 2005-2011. His latest books in English translation are In Mistrust We Trust: Can Democracy Survive When We Don’t Trust Our Leaders? (2013), Democracy Disrupted: The Politics of Global Protest (2014) and After Europe (2017).